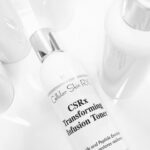 Save $16 when you pair our powerful NEW CSRx Transforming Infusion, 10% Niacinamide Concentrate with our best-selling vitamin C+ Firming serum to achieve the complexion you’ve always dreamed about and save, too. 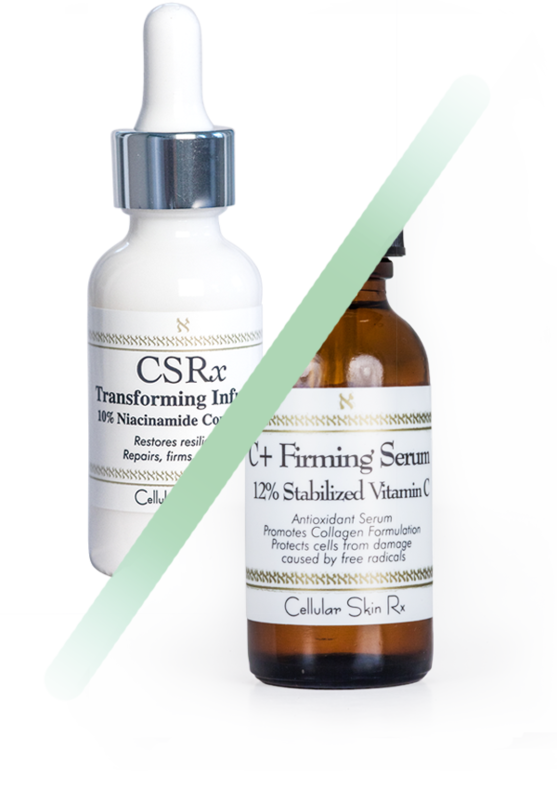 Combining these two anti-aging, toning, texturing, brightening powerhouses will give you immediate visible results. Skin will appear firmer, more resilient with a smoother, poreless texture. Skin color is evened out and redness reduced. These two play very well together and you reap all the benefits! Blend an equal number of drops from each product in the palm of your hand. Mix together and apply as usual. Add an equal number of drops of each product in the palm of your hand. Mix and apply as usual. Can be used above and below the eyes.